Home/Equipment Reviews/Aeropress vs Pour Over: Which Method Produces the Best Brew? Both the Aeropress and Pour Over methods of making coffee have been gaining quite a bit of traction among bean heads. They’re both affordable methods of making good coffee without resorting to the watery nonsense that comes out of your middle-aged neighbor’s drip coffee maker. They’re also greatly varying methods. Whereas the drip method is based primarily around temperature and time, the Aeropress uses pressure to quickly make a delicious cup of coffee. But which is easier, quicker, and, most importantly, makes the best cup of coffee? The Aeropress was invented in 2005 by Aerobie president Alan Adler. Before getting into the coffee world, Adler’s area of expertise was creating aerodynamic toys such as frisbees and footballs. It works by making coffee in a vacuum sealed chamber, using pressure and heat to create a quick cup of coffee that still effectively extracts flavor from your grind. The pour over method begins with a story most java fanatics will find sympathetic: Auguste Melitta Bentz, who we now credit for the invention of the coffee filter, had grown to dread the bitter and watery taste of percolator coffee. She experimented with different methods and found that pouring boiling or hot water over coffee placed on a filter made a better cup. There have been shifts in technology and popularity in the pour over method since then, but by and large the process has remained the same. That’s because this is a method emphasizing simplicity and what people, not machines, have to offer. Aeropress: It takes under a minute from the moment your water starts boiling to make a cup of Aeropress. As long as you have a good electric kettle, you should be good to go. Using the traditional method is nearly instant because of the lack of steep time. If you choose to go with the inverted method, you can expect two to three minutes of steep time depending on the coarseness of your grind. Pour Over: You can expect it to take between 2 and a half and three minutes to brew a dark roast. That number jumps to three or four minutes when making a dark roast. The pour over method emphasizes human involvement, and a part of that is patience: many pour over aficionados would argue the time spent making pour over is part of what makes it so great. Still, you wouldn’t call this a time-saving method. Winner: The Aeropress bypasses steep time to make a quick and delicious cup of coffee. Aeropress: A cup of Aeropress is made directly over the cup, and because it’s a vacuum sealed tube very little coffee can stain the inside of the device. When the traditional method is used, the grounds don’t get as wet as they do in other coffee makers. This makes disposing of them significantly simpler. One clean-up concern Aeropress rookies should have is the possibility of spillage: pressing down too hard while making a cup of coffee will result in a giant mess. But provided you make your coffee without making this mistake, all you need is a simple rinse after each cup. Pour Over: Pour over coffee cleanup depends on the set-up, but some can be cleaned by throwing out the filters and giving it a simple rinse. Because the grounds are wetter using the pour over method, the Aeropress has the quicker cleanup. Winner: This one goes to the Aeropress for its nearly instant clean up and long-term plan to avoid any sort of staining of the coffee maker. Aeropress: The Aeropress can be used in the traditional method or the inverted method to make something more similar to a french press. It can even be used to make lattes and cappuccinos when used with this machine-free milk foam recipe. The Aeropress can also make iced coffee without resulting in the watered down taste of other iced coffee brewing methods that use heat. Pour Over: Pour over coffee is absolutely incredible, but the process of making it isn’t as much versatile as it is customizable. Making a cup of pour over gives you total control over the coffee making process. But though you’ll be tasting much of what the world of coffee has to offer, you will still be tasting coffee within the genre of pour over exclusively. Winner: Aeropress The Aeropress is clearly a more versatile method of brewing than the pour over method. 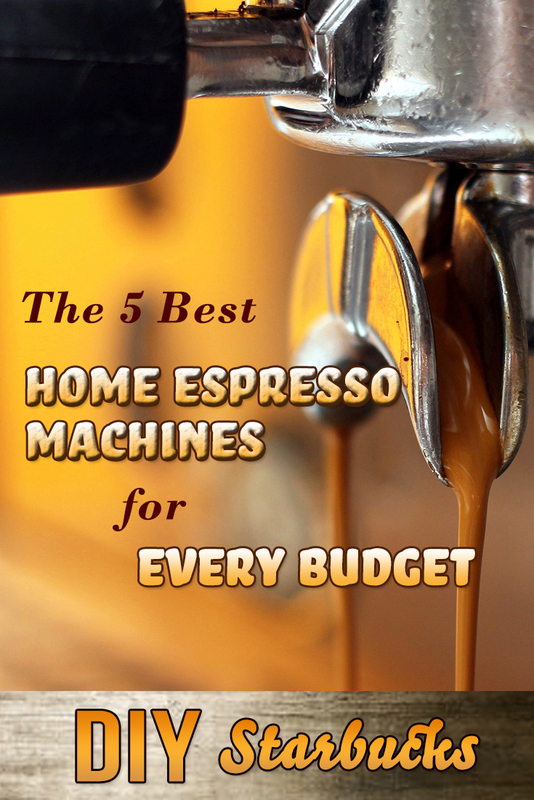 It can be used to make anything from iced coffee to espresso and cappuccinos with ease. Aeropress: An Aeropress with 350 filters costs under $34 on Amazon. Because the filters are designed specifically for the Aeropress, you will need to buy them regularly. The good news is, filters are relatively cheap: a pack of 350 filters sells for under $5 on Amazon. 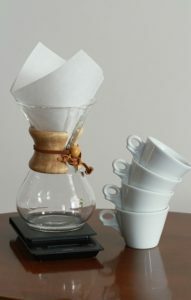 Pour Over: You can easily get an affordable pour over coffee maker for under $10 . Winner: Both the Aeropress and the pour over method are incredibly cost effective. But it looks like pour over brewing is the more affordable method based on its simplicity and the fact that brand-specific filters aren’t necessary. Aeropress: For the Aeropress you will want either a burr or electric grinder. 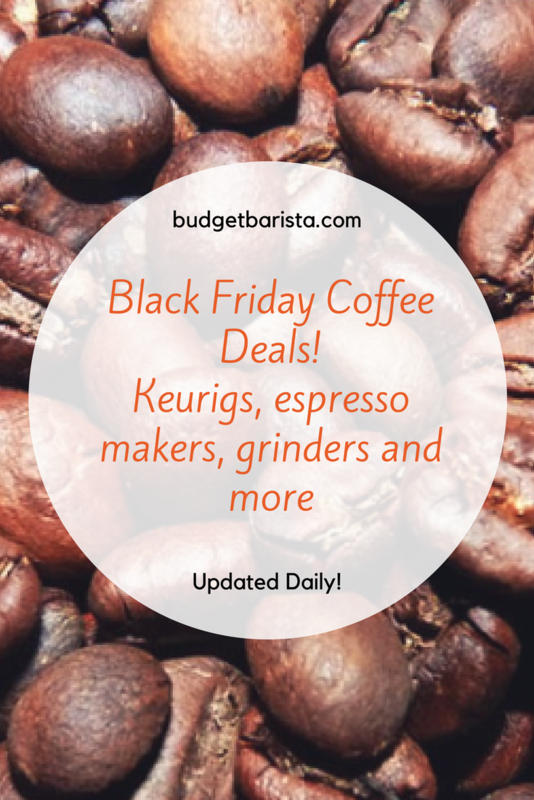 If you’re using the traditional method, you’re going to want a very fine grind. For the inverted method, it is suggested that you use a coarser grind, though I’ve found using a finer grind and cutting 30 seconds off of the steep time also works. Pour Over: The pour over method can be used without additional accessories, however, you are going to want a scale to measure out the amount of coffee used and a funnel to make sure everything gets in properly. As with the Aeropress, you will need a coffee grinder, and in this case a hand grinder is probably better. Winner: The Aeropress leaves users good to go upon purchase, provided they have already purchased a grinder. That being said, both of these methods are easy to use with a relatively small amount of add-ons. Aeropress: The traditional method of making Aeropress is pretty easy. Just put the coffee and water in, press down, and enjoy. There’s very little learning curve on this one, and as long as you remember your ratio and grind you can make a consistent cup of coffee each morning. Pour Over: Because there is so much variation between cups of pour over, the method requires more attention to detail to make a good cup of coffee. Just reading forums where people discuss making the perfect cup reveals how everything from steeping time to depth can make a major difference in your cup. Winner: The Aeropress method is quick and self-explanatory, making it a far easier cup to brew. Aeropress: The Aeropress lets you make a good brew any way you’d like. The traditional method creates an interesting and light cup of coffee, with a significant amount of oils removed. 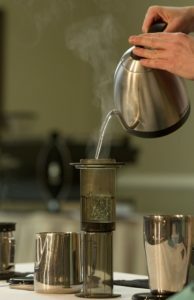 The inverted method allows for the creation of a more dense brew similar to that of french press, and is particularly good for dark roast coffee. Pour Over: The pour over method’s control allows the flavors from the beans to really shine with this method. Coffee purists will really appreciate this method, and it may be the ideal one for those who enjoy a simple and well-done cup of coffee. Winner: Though this depends heavily on personal preference, the pour over method makes the best traditional cup of coffee. If your top priority is making the flavor (and the bright and fruity notes in light roasts particularly,) shine with each cup, go with the pour over method. But if you prefer an espresso or a cappuccino, an Aeropress is the best choice. Related: What Makes a Good Coffee? If you’re looking to brew convenient, affordable and delicious coffee, the Aeropress and the pour over are both a good choice. The Aeropress wins in a few areas: versatility allowing for anything from a quick cup of coffee to a strong cappuccino, an easier clean up, and the fact that you can make a great cup of coffee in seconds or when traveling. That being said, the pour over method is still incredibly affordable and a staple of any coffee aficionado’s kitchen, especially when time affords a cup of coffee worth savoring. So if you choose the Aeropress, don’t close yourself off from adding a pour over in the future. Both methods are inexpensive enough to afford your own test.